Last Call: May Courses Begin Next Week! May marks the last of our full monthly courses (June is a mini “3-weeker” and thereafter we’re in our weekly summer programs). As a special treat, we’re celebrating spring (finally!) with our NEW Programming with Roblox course. 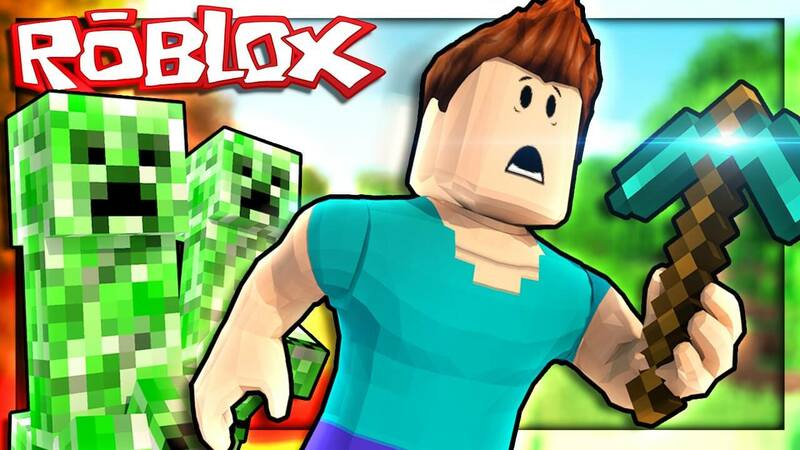 Roblox is a video game that allows players to build or be whatever they want. → Want to be a Jedi and play the latest Star Wars game? Check. → Want to be a Marvel superhero and save the universe? Check. → Want to build your own LEGO universe inhabited by zombies? Check. Players make custom built games from scratch in Roblox whereas Minecraft randomly generates game worlds. Games in Roblox can be whatever the players want. Minecraft is focused on building and survival. Roblox games rarely look the same as opposed to all worlds looking similar in Minecraft. In Roblox, anything is possible and the only limitation is how much time and effort your kids put in to learn. In our Programming with Roblox course, offered on Tuesdays 4:30-6:00pm, kids will get an overview of the Roblox site, how to use the Roblox Studio to create their own games, learn about ways to make awesome games, learn and use beginner scripts (coding) to add fun elements to their games. The course if for children grades 3 and up. Register now! June Mini Courses and Summer Programs! School is winding down and the days are long. June courses are 3 weeks long and a great opportunity to have your kids experience STEM without a long commitment. NEW in June is our Programming with Minecraft. We understand that younger kids were closed out of the Roblox course due to age restrictions. If that happened to your kids, then consider this new course. 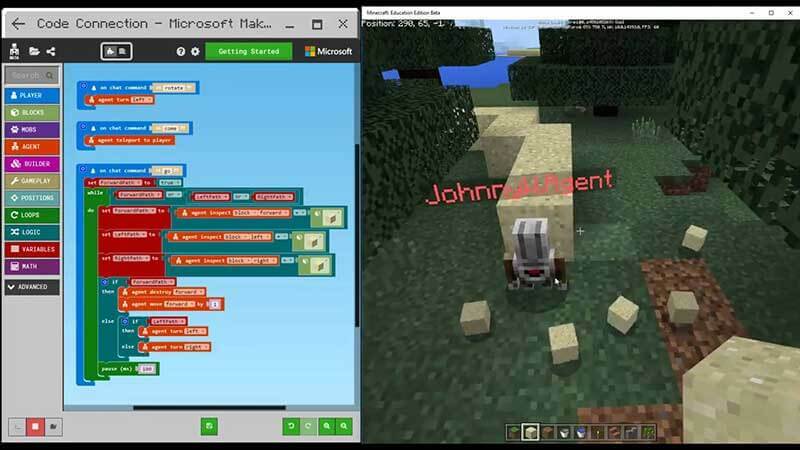 In Programming with Minecraft, kids learn to make mods (modifications) and see them in action in Minecraft. Through the use of blockly programming blocks (similar to Scratch), children learn the fundamentals of computational thinking and basic coding vocabulary while having fun working in Minecraft. This course is offered Tuesdays, 4:30-5:30, for kids grades 1 and up. Register now! Summer is almost here … have you made plans for your kids, yet? We are offering 8 weeks of summer STEM courses from 9:00am to 12:00pm. Each course is an hour long and runs Monday to Friday. You can sign up for one, two, or all three courses! Check out our schedule here and register now! Congratulations to our April Minecraft Tournament Winners! 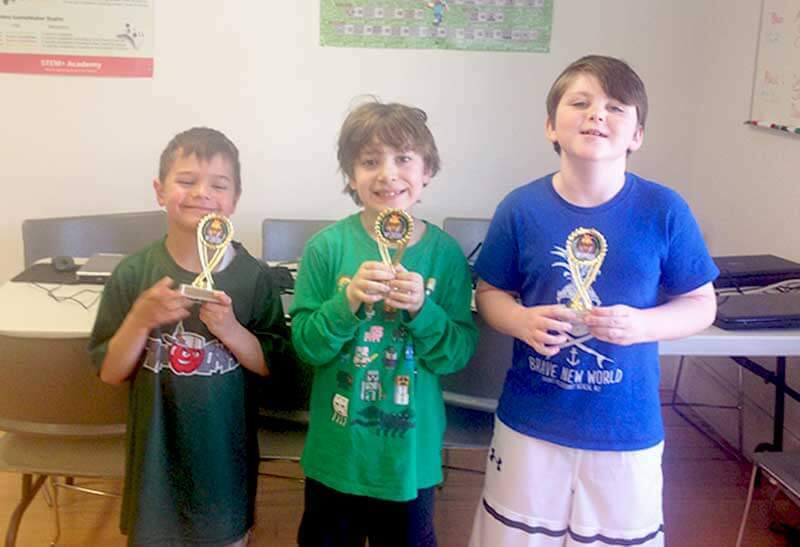 Congratulations Kevin, Jack, and Jesse, first place winners of our April Minecraft Tournament! Did you miss the April tournament? We have our final one for the academic year on Saturday, June 23, 1:00-3:00pm. Space is limited so don’t delay in registering. Find out more about our tournaments here.